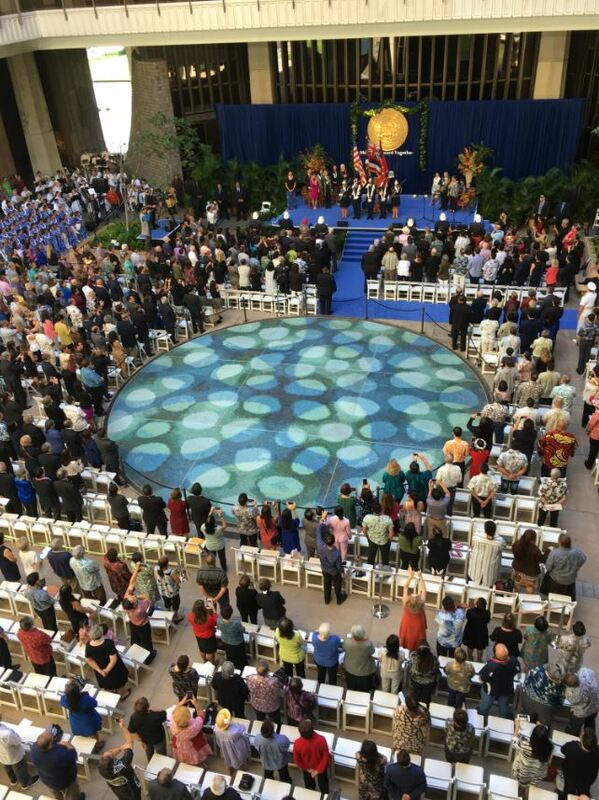 As his family looks on, Governor Ige is sworn in by Chief Justice Mark Recktenwald. 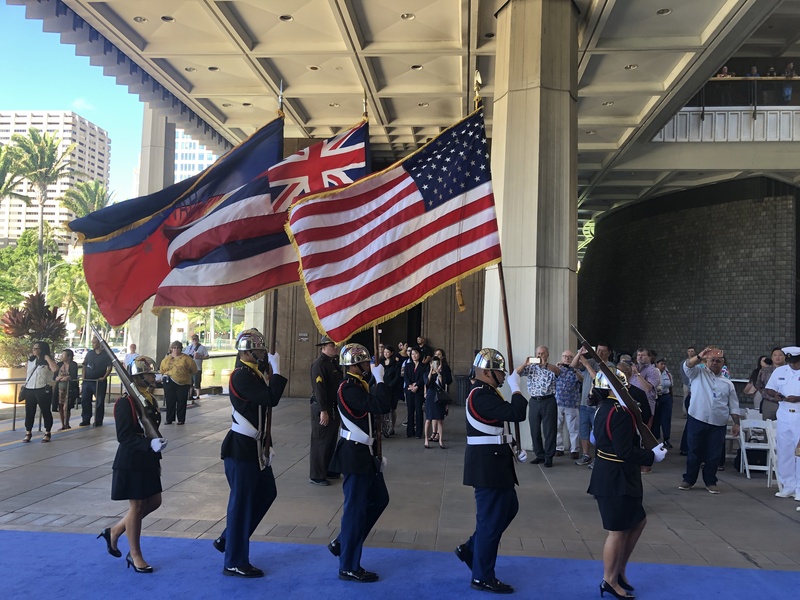 Members of the Waipahu High ROTC bearing flags. 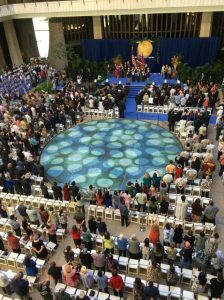 A view of the Capitol rotunda during the ceremony. 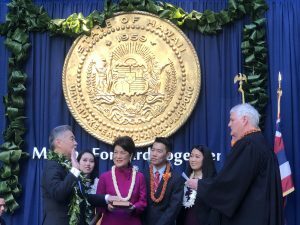 In the last four years, the Ige administration has shown positive change is not only possible, it’s happening all around us — to empower schools, build more affordable housing and protect the ‘āina — and the governor wants the public to know state departments are working hard on their behalf. 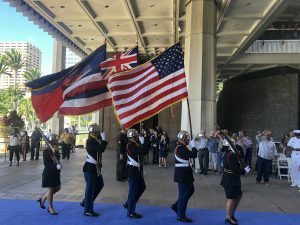 This issue of Capitol Connection describes some of the ways Hawai‘i is moving forward and, in many cases, leading the way to a better future. 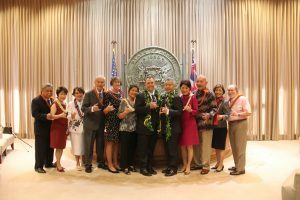 Present and former governors and first ladies: (from left) the Cayetanos, the Ariyoshis, Linda Lingle, Lt. Gov. 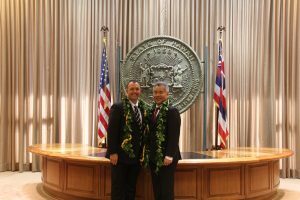 Josh Green and wife Jaime Ushiroda, Gov. 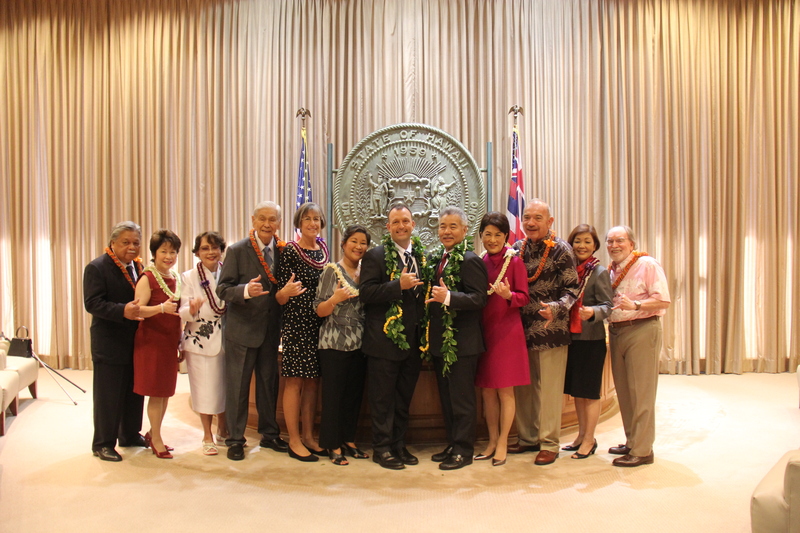 David Ige and first lady Dawn Amano Ige, the Waihees and Neil Abercrombie. Gov. 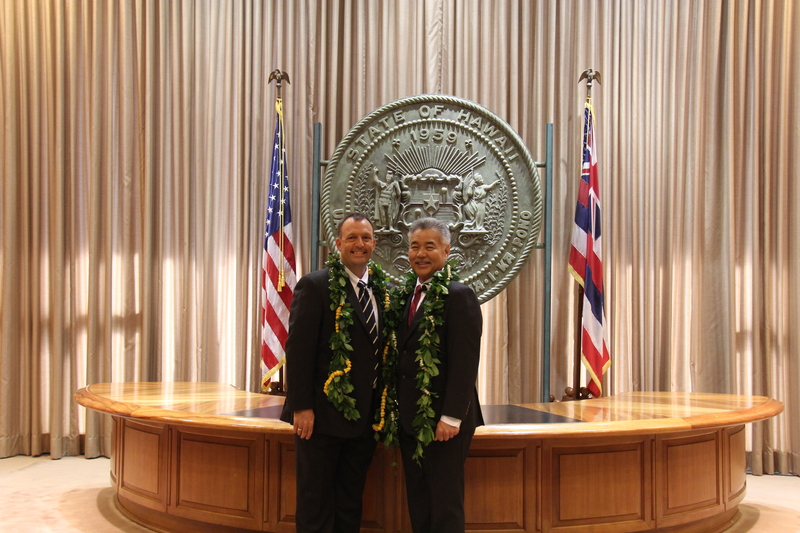 David Ige and Lt. Gov. Josh Green.